Yiwu Forest products Fair is held from November 1 to June 4 annually. 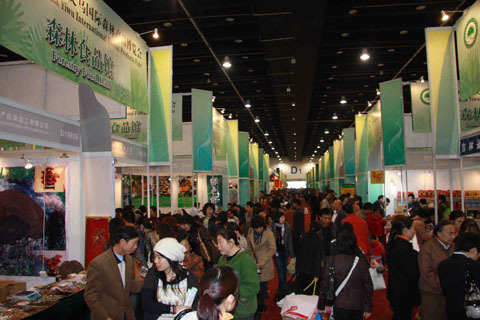 2011 Yiwu Forest products Fair has attracted about 615 enterprises from 18 provinces and regions such as Zhejiang, Jiangsu, Guangdong, Fujian, Anhui, Hebei, Jiangxi, Shanghai and Hong Kong. Bamboo artificial boards, Decorative boards, Laminated wood boards, Medium and high density fiberboards, Composite wood etc. Woodworking machinery, Bamboo working machinery, Forestry machinery etc.